Can this be used in car audio applications? What is the housing made of, plastic or metal? I have a 95 Watt Onkyo stereo that has speaker system A and B. A goes to my indoor speakers B goes to my outdoor speakers and my Family room. My goal is to be able to use this device to lessen the draw on the Tuner amp plus distribute the sound evenly. 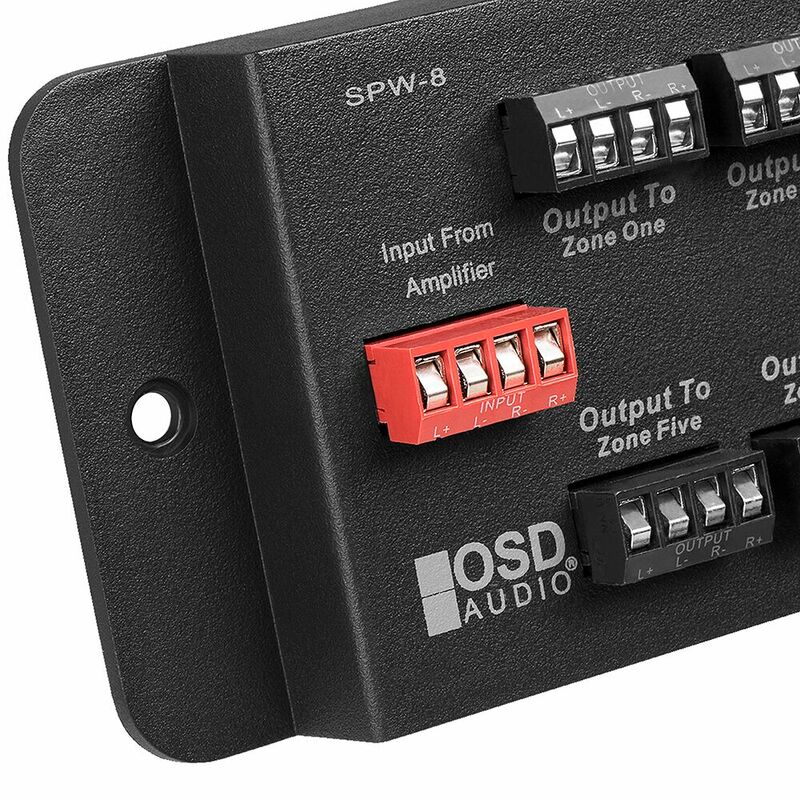 I think this device would take the single output B and allow me to add up to 8 different zones of speakers with individually controlled volumes. The way my system is now every pair of speakers that is added shares the power with the other speakers and is jeopardizing the amp. am I correct in thinking this will resolve the issue? What is the purpose of this? I noticed that since I have switched out my controls, my radio is shutting off telling me check speaker wires. From what I can tell (old house, new house to us with system already installed), it looks like speaker wire coming from radio goes to one control and then on to all the other speakers. Trying to determine how to handle my problem. What gauge is the internal wiring? Can this be used in place of a stereo receiver to connect speakers to TV or you still need the receiver? Is this able to work with a 70v system? I am running a 2 channel (stereo) 70 V system with appropriate transformers at the speakers... Could I use this pre- volume control to distribute the signal to all my zones, or is this better post volume control? Thank you! I have a Speakercraft BB2125 high current amplifier driving a pair of AP850's, an RS850TT, a pair of AP670 and a pair of Speakcraft Rox 820 (the weakest link and soon to be replaced). I have each of these 4 zones controlled with OVC-100 controller. What impedance setting should I set the amplifier to, the 4 or 8 ohm setting? Do you think I could add one more pair of speakers? Can I put 25 volts in the input and it split it to the 8 outputs? I bought this connecting block to run multiple speakers. I have a separate receiver that I will run for my zone 2 audio. 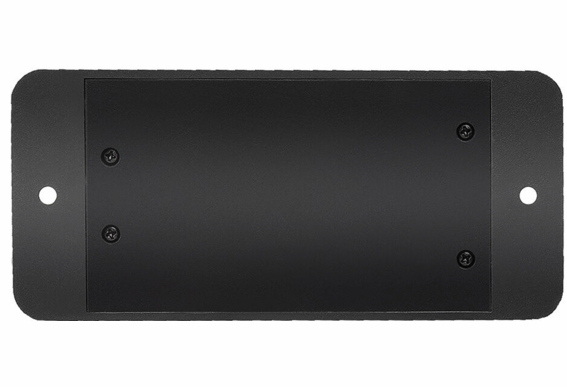 The receiver is a Pioneer VSX-530 5.1, 140W X 5 @ 6OHMS. THE problem I'm having with this hub is, when I connect my speakers to the L/R output, music play out of the left speaker but doesn't come out of the right speaker. It appears to be something with the right side of this connecting block. Can anyone help me. I went through a thorough troubleshooting process and still can't get both speakers to play together with this connecting block. Does this unit divide the wattage evenly across all active zones, or all zones? I'm going to use a secondary receiver to this unit, then from here go to two different OCV305Rs One of those (porch) will go on to two PS525 speakers the other (Garden) will go to 2 pair of RX550 Rock speakers So, question being, if I use this, will it divide the available power evenly between the two zones in use, or will each zone only get 1/8th the total available power? Hello James, Yes - the power going through this device will be split evenly amongst all outputs, but of course if the speakers vary on each output, you may have different volume levels. This unit is out-of-stock at the moment and we are expecting more in late June or early July. You can also use the ISS8. Hi Debbie, I believe we should have this item available again sometime in May or June. 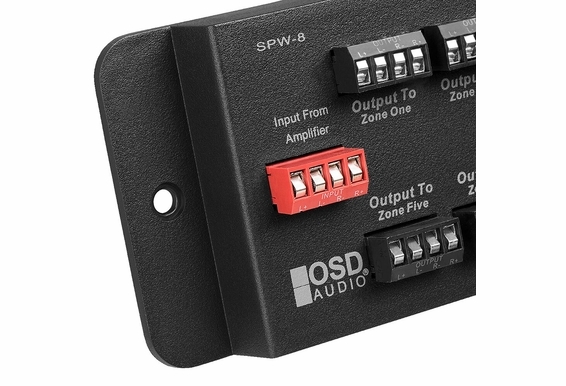 If you are in a rush, we do have our ISS8 speaker selector which is fairly similar, albeit with impedance protection and on/off capability for each zone. 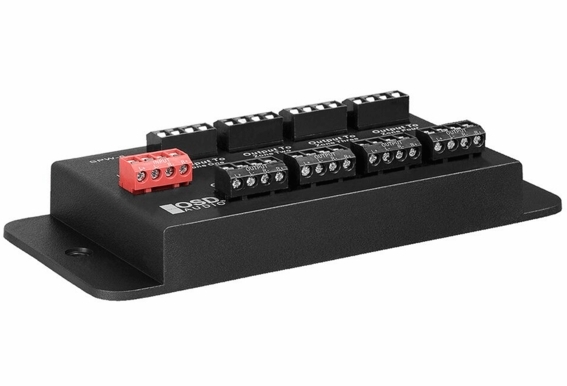 If I were to use a set of relays to control the device rather than volume controls (zero resistance or infinite resistance) would that work or is there a need for specific pull up/pull down on the control lines. If there is a specific control need, would you post it if possible? I'd like to reverse the mode. 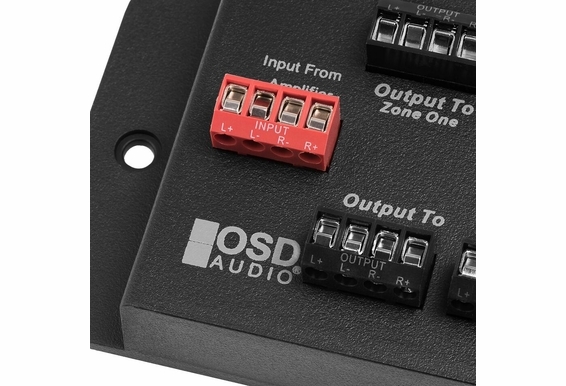 Instead of one input going to several speakers, I would like to set this up so that input from any one of three (don't need eight) amplifier locations goes to one set of speakers (so one set of speakers is connected to what is called the input, and the terminals designed for output to the speakers are the inputs from the amp) . Of course the amp would only be plugged in at one location at a time, I just want the option to move the amp around to another location in the room from time to time. Will that work? If you are going to buy a speaker switcher and leave all switches on. 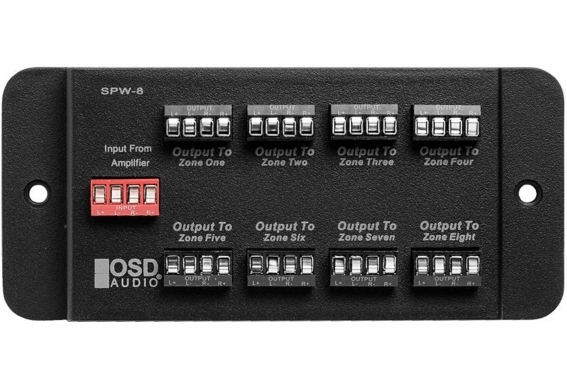 For less money would the SPW-8 do the same job? I have a 4 speaker selector switch now with 4 speaker pairs, but am looking to add one more pair of speakers. 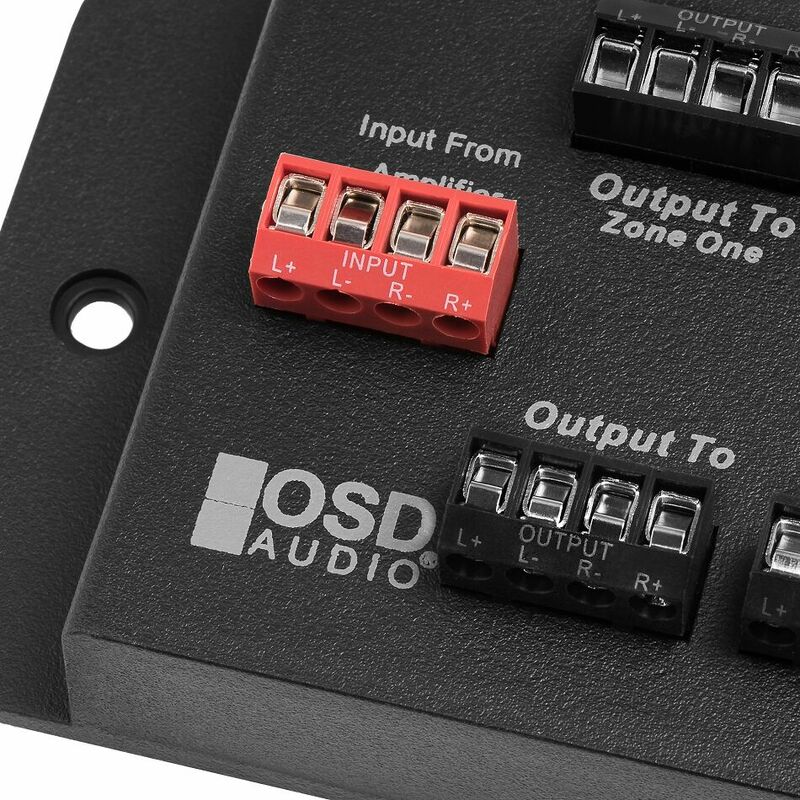 So either going with the connector block or the 6 speaker pair selector switch. I already am using your impedence matching vol controls on all speaker pairs. If I go with the connector block I remove the power loss associated with the selector switch protection. If I go with the selector switch I have the ability to totally shutdown speakers not in use (although with vol control turned down there is no noise). Am I gaining any protection for the amp with the selector switch setup that I do not have with the impedence matching vol control? Must be used with impedance matching volume controls? What is the impedance of this? I do not see it in description.